Powerful 2,600 Lumens Light Output and Colour Light Output – All the power you need to create big, bold presentations and dazzling home theatre. Automatic Vertical Keystone Adjuster – This function automatically detects the projector’s vertical angle and adjusts the vertical keystone distortion instantly. Spectacular Quality and Colour with 3LCD Technology – Delivering superb image quality, this innovative technology always ensures powerful visual presentations. Low Cost of Ownership – The EB-X02 utilizes a low priced lamp and makes use of a new High Efficiency Filter; extending the life of your projector. Brilliant image quality requires high colour brightness (colour light output), and Epson® 3LCD projectors have 3x Brighter Colours than leading competitive projectors*. One brightness measurement (lumens) is not enough. A projector‘s specification needs to show both high colour brightness and high white brightness. If colour brightness is lower than white brightness, images may be dark, dull and lose detail. If not be sure to ask for a projector’s colour brightness specification. The Epson EB-X02 projector delivers 2,600 lumens of light + colour light output for rich colourful images. Whether you’re projecting images with deep, dark colours or a white screen with minimal text or graphics, you get consistent light output. This makes the EB-X02 bright enough to be used as either an installation or desktop projector in even the brightest of rooms, without the need to dim the lights or close the curtains. Take all the guess work out of setting up your projector, thanks to the Auto Keystone. This function automatically detects the projector’s vertical angle and adjusts the vertical keystone distortion instantly. 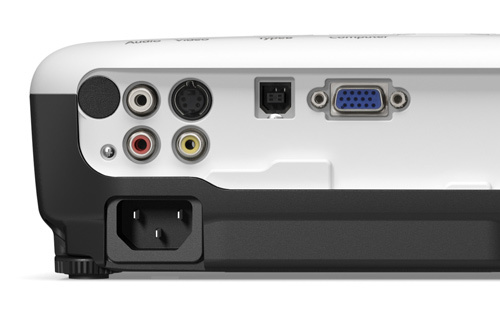 Epson’s advanced 3 in 1 USB connectivity enables instant Plug ‘n Play setup for Video, Audio and Control. Forget about complicated computer key sequences and non-intuitive controls. Instead, just plug in a standard USB cable and let your presentation impress the audience. 3LCD technology is durable and dependable. Road-tested by millions of projector users around the world, it has been used in more projection products than any other. 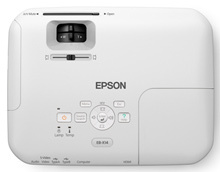 The Epson EB-X02 also delivers clear, rich and vibrant colours due to the use of 3 chips providing full-time, true-to-life colour. The EB-X02 utilizes a low priced lamp and makes use of a new High Efficiency Filter; extending the life of your projector.